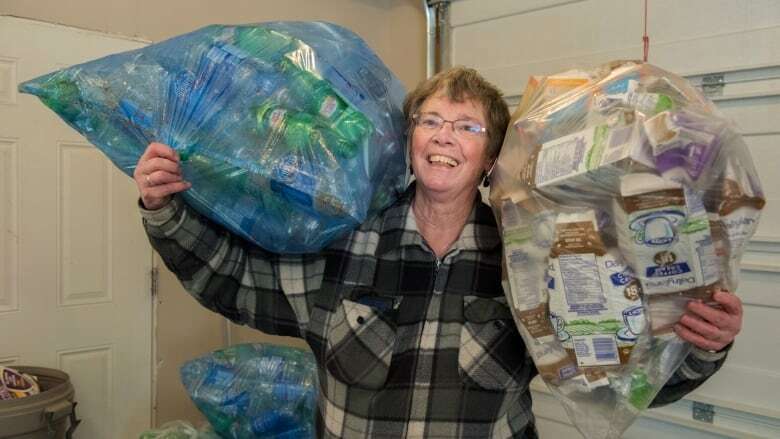 A Catholic nun who retired from teaching has raised thousands of dollars for community projects with her simple, but streamlined, bottle recycling program in Hay River, N.W.T. 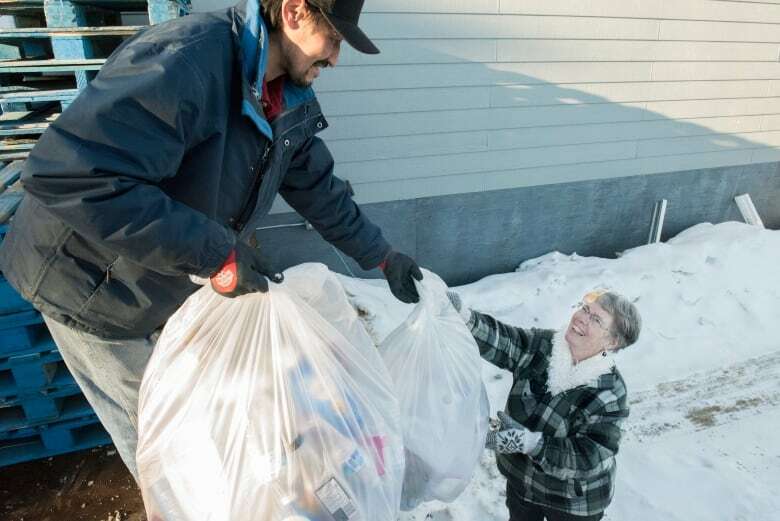 Sister Maggie Beaudette, 71, raises about $2,000 every year by accepting, sorting and cashing-in refundable beer cans, pop bottles and milk jugs. Each empty is worth 10 cents to $1. Since she started the program 14 year ago, she's raised more than $20,000, with every dime going to music and humanitarian projects. Beaudette drives around town in her silver Ford Escapeand collects from her "regulars" every two weeks. She single-handedly sorts, cleans, crushes and bags her haul in her garage. Some weeks are busier than others, especially after Christmas and long weekends. "It is a lot of work, but I'm helping different groups and it's my little part caring for the environment," said the avid birdwatcher and gardener, who maintains a busy schedule as a spiritual advisor for the Roman Catholic Diocese of Mackenzie-Fort Smith. 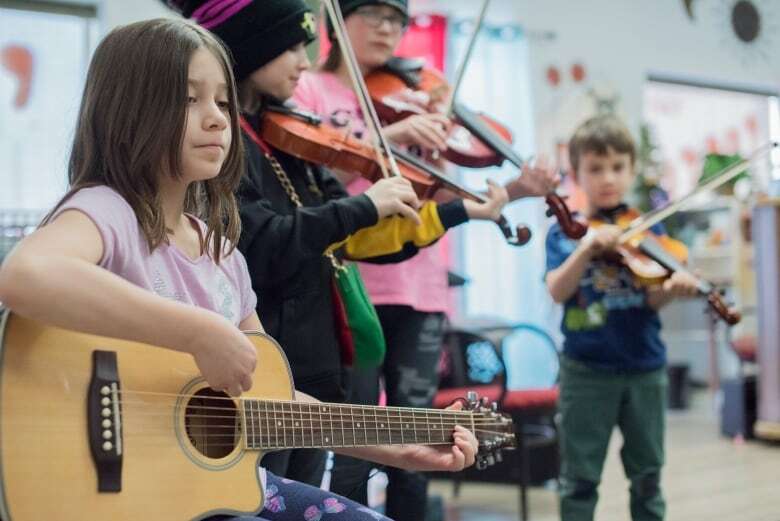 Beaudette's generosity has purchased a dozen fiddles and guitars worth several thousand dollars for Hay River's Kole Crook Fiddle Association, one of several music programs she supports. "It's amazing how much her little bottle collection has helped us," said fiddle teacher Linda Duford. Beaudette believes music can be medicine, saying it can help with healing. She also donates to the Chief Sunrise Education Centre on the K'atl'odeeche First Nation, for books and culture camps. The remainder goes to humanitarian efforts in Kenya administered by former Behchoko teacher and soccer coach, Michael Botermans. "It shows there is nothing too small that can't help someone who has so little or nothing," Botermans said. Beaudette's one-woman project started slowly but word of mouth keeps it growing, with donations even coming from Fort Smith, some 270 kilometres away. 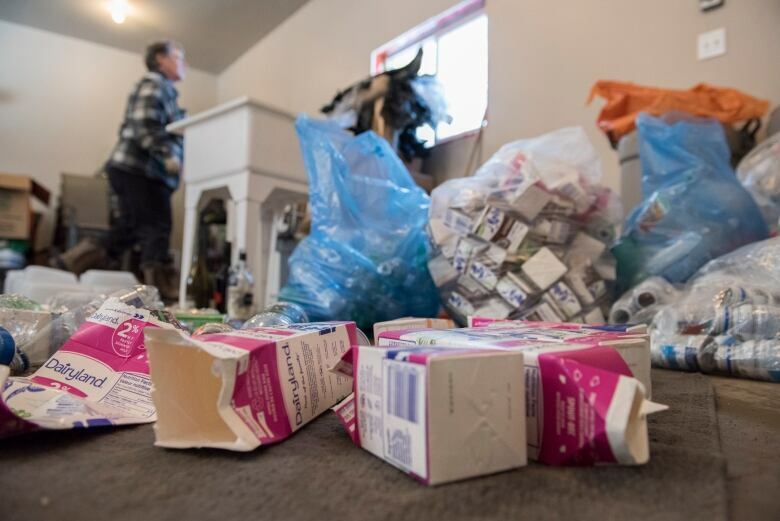 To simplify the process, Beaudette's name is listed at Tri R Recycling in Hay River, so people can donate their recyclables to her right at the depot. While she has no plans to expand, Beaudette hopes to refine her sorting system. "Being able to organize the recycling into bins as it comes in, that would really help." Beaudette admits the bottle drive takes a lot of time, but she says it's worth every can, bottle and juice box.